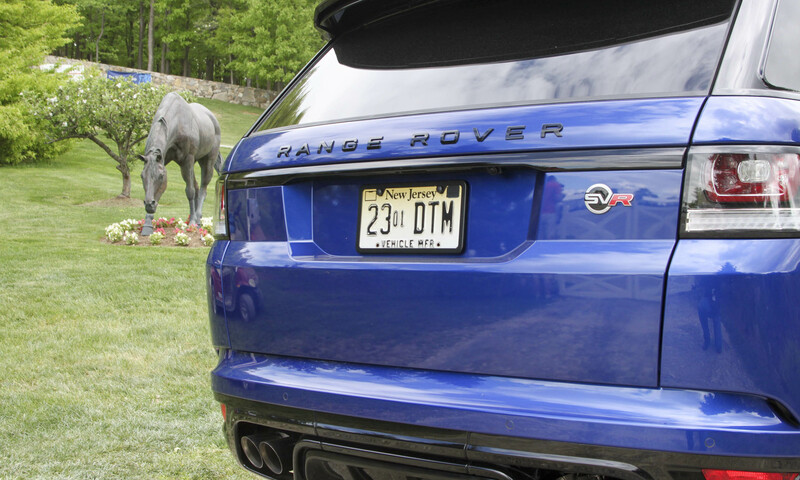 The Range Rover Sport SVR is an impressive vehicle — we’ll state that straight out of the gate. It has amazing capability and performance, but more importantly for Land Rover, it’s the first of likely many vehicles to come from the brand’s newly formed Special Vehicle Operations group. And SVO isn’t just for Land Rover — for the first time one group will be responsible for both Jaguar and Land Rover models. Top performance models from both brands will wear the SVR badge (can you say F-TYPE SVR?) but for now we’ll stick with the Land Rover we drove through New York state for a few days. 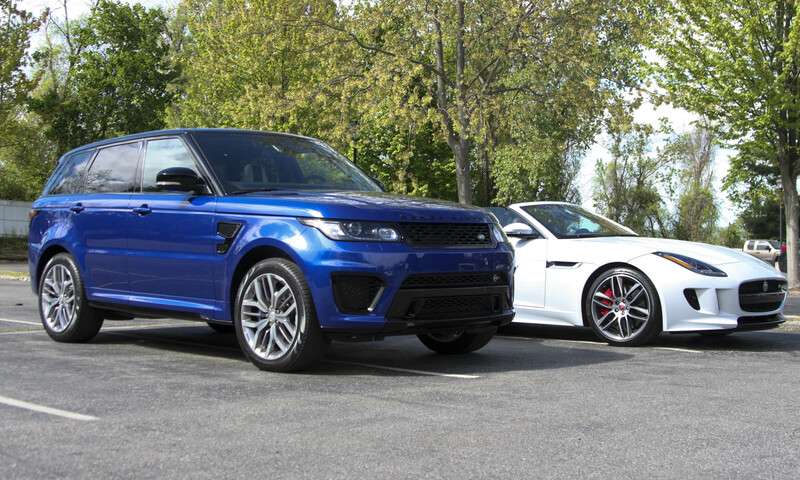 The Range Rover Sport SVR currently tops the Land Rover lineup. 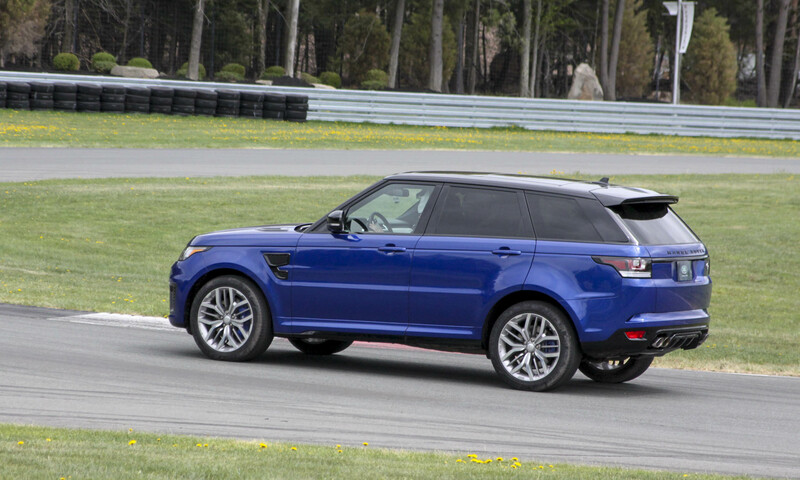 Already well equipped — even at the base level — this Sport SVR didn’t disappoint in the bells and whistles department. 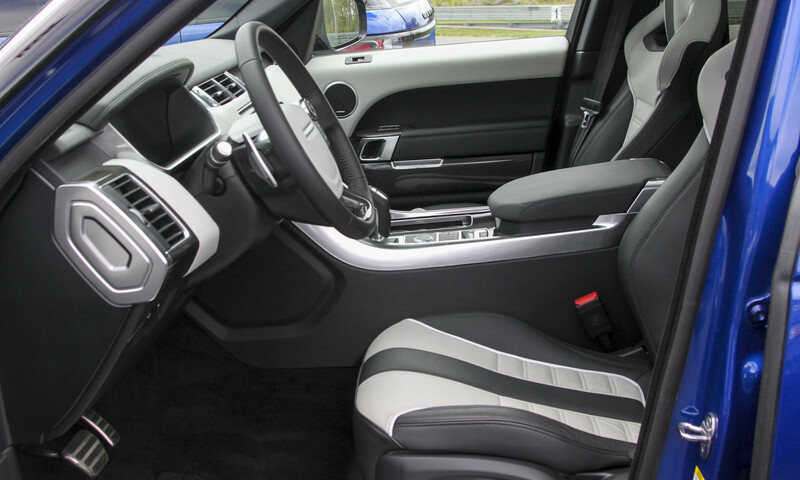 With a starting price of $110,475, the Range Rover Sport SVR comes standard with sport seats covered in Oxford perforated leather, stainless-steel gas and brake pedals, 14-way power front seats, heated front and rear seats, customer-configurable interior mood lighting and an 825-watt Meridian premium sound system with 19 speakers and subwoofer. 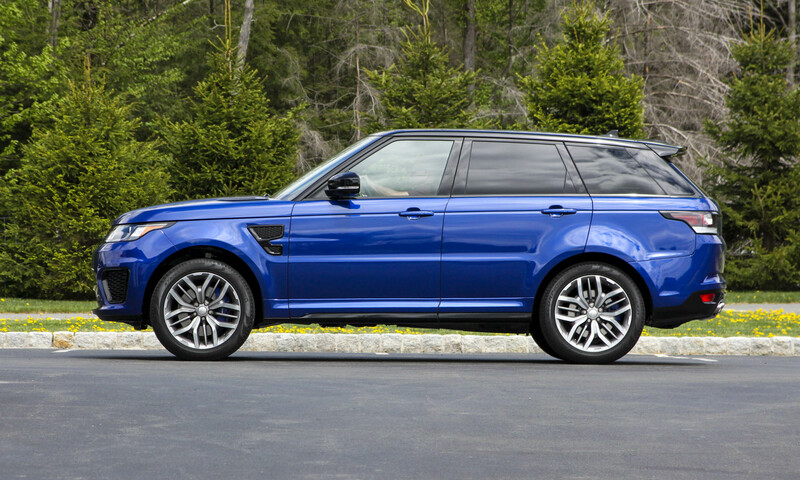 The SVR stands out from the crowd — even from other Range Rovers, for that matter — with its blue brake calipers, SVR 21-inch split-spoke alloy wheels, unique front and rear bumpers, quad tailpipes, gloss black trim and rear roof spoiler. 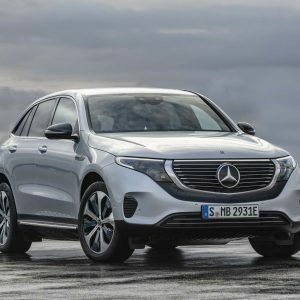 The all-season Continental Cross Contact tires ensure that the SUV can tackle slippery off-road conditions as well as high-speed twisty roads. The Range Rover Sport SVR looks the part of a high-performance sport ute, and we’re happy to report it has the power to back those looks. 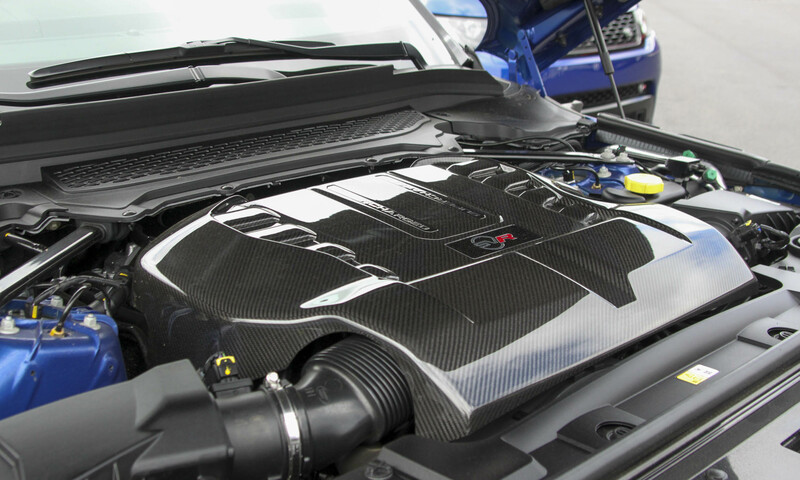 The 5.0-liter supercharged V8 engine puts out 550 horsepower and 502 lb-ft of torque, making SVR the fastest and most powerful Land Rover to come from the factory — ever. 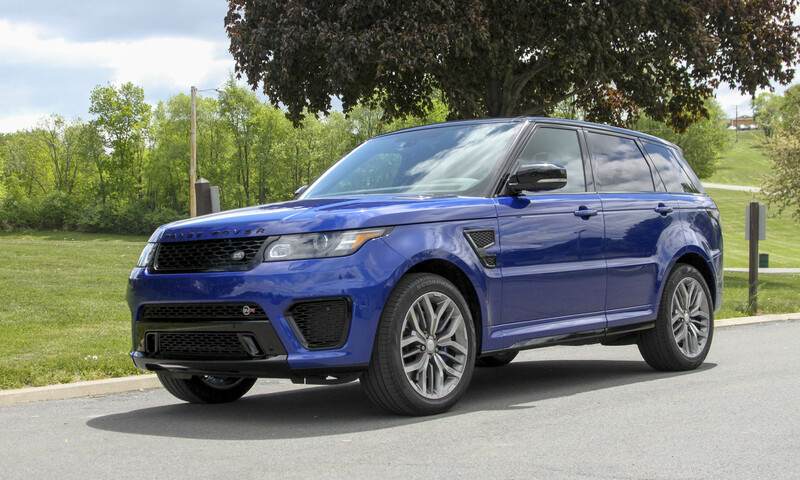 The SVR can reach 60 mph in just 4.5 seconds; impressive on its own, and more so when you realize this SUV tips the scales beyond the 5,000-pound mark. 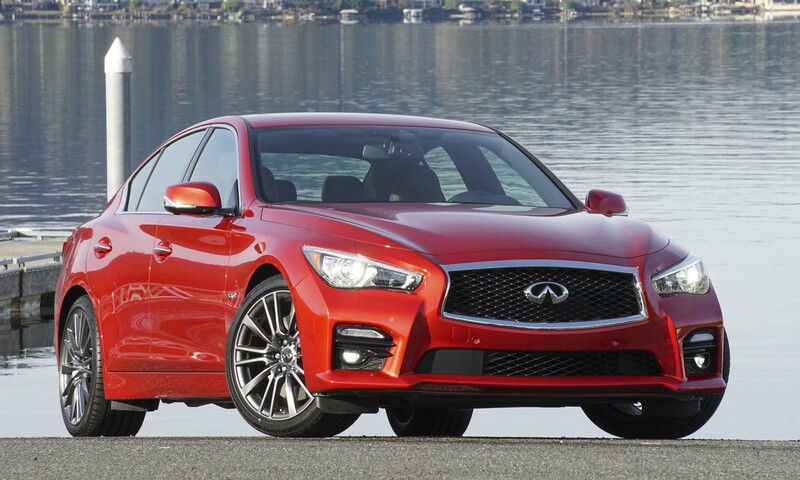 Top speed is limited to 162 mph — more a limit of tire capability than engine power. 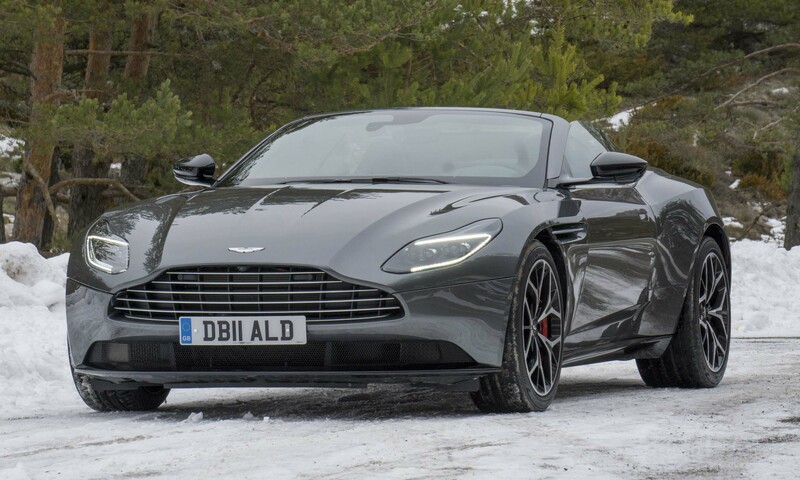 Almost as impressive is the sound that emanates from those four rear pipes. 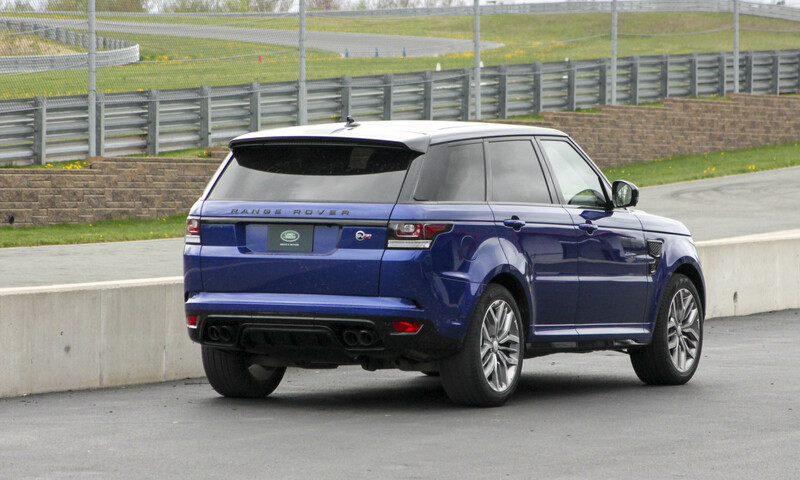 Sure the Jaguar F-TYPE R that shares this powerplant, but the Range Rover Sport SVR sounds bigger and meaner. The big V8 puts power to the wheels via an 8-speed automatic transmission that has been tuned specifically for the SVR. 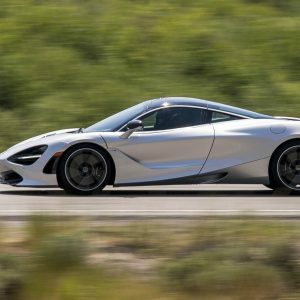 Shift times have been reduced by 50 percent, and from our perspective both on the road and at the track, the shifts are incredibly smooth and fast. The transmission has 25 predetermined programs from which to choose, based on driver behavior and road conditions. Unfortunately, the big V8 and go-anywhere capability translate into less than stellar fuel economy. 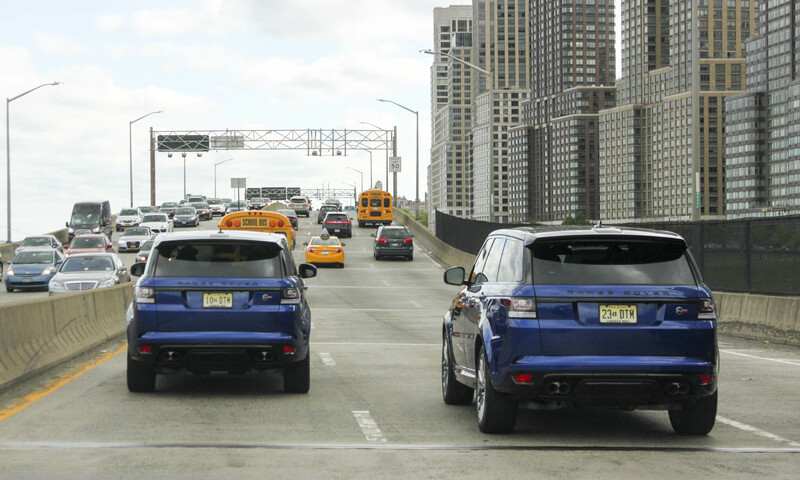 Even with its Intelligent Stop/Start system, the SVR is rated at 19 mpg on the highway and 14 mpg in the city. As expected, power is directed to the road (or dirt) via Range-Rover’s permanent 4WD system. Up to 100 percent of the torque can be directed to either axle based on conditions, and the 2-speed transfer case provides a low range for more demanding terrain. 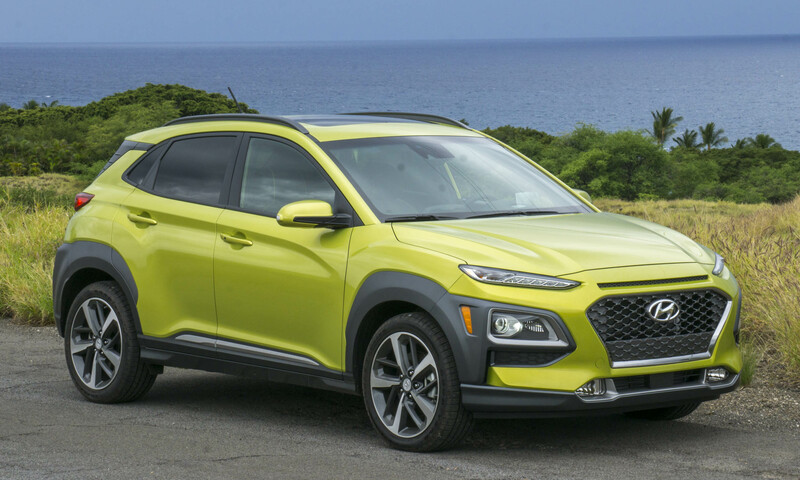 When on the road, Dynamic Stability Control monitors the vehicle 100 times per second using yaw sensors and individual wheel braking to keep the vehicle headed in the intended direction. The theme of this sporting Range Rover is readily apparent when you climb inside. 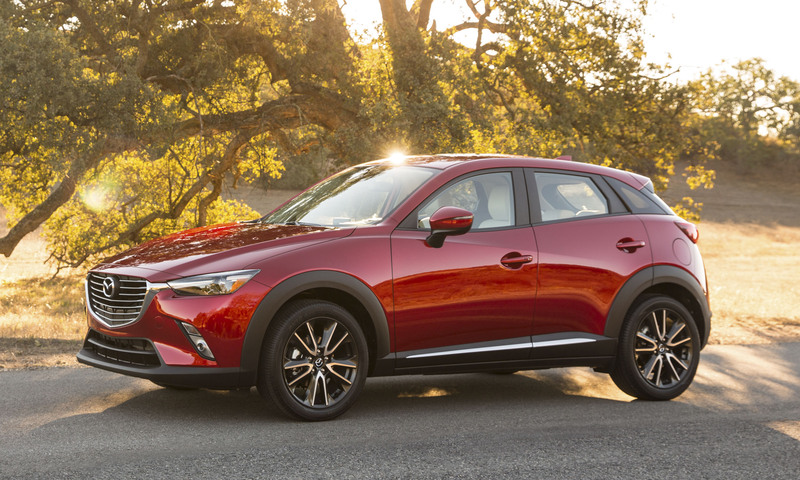 Stylish leather sport seats are both comfortable and supportive, with bolsters to hold bodies in place during spirited driving. The contrasting colors in the seats match the rest of the vehicle, and the embossed SVR logo in the seatback is a nice touch. The seating position offers excellent visibility and the 14-way power adjustments make it easy to set up. 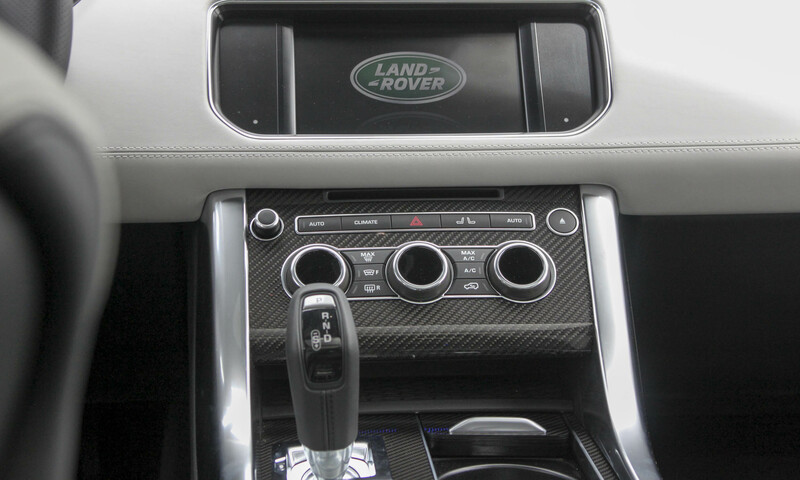 Leather adorns the door panels and dashboard, and the trim can be either dark aluminum or carbon fiber veneer. A panoramic glass sunroof adds considerable light and an airy feeling to the cabin. 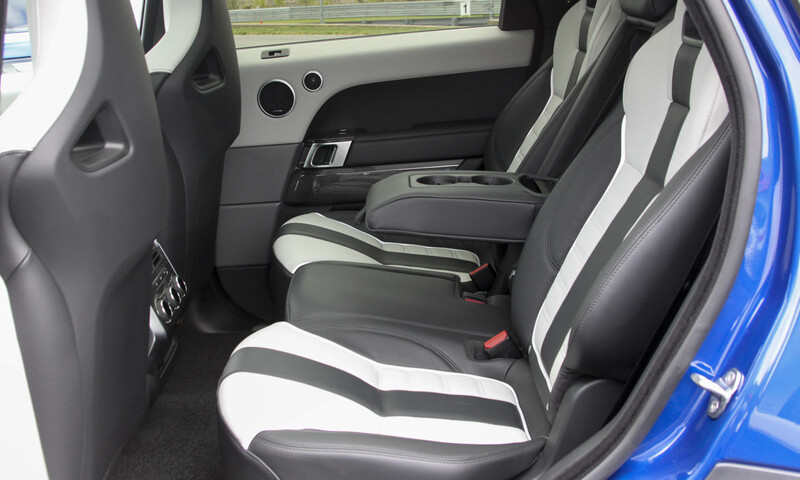 The rear seats reflect the sporty cabin; they look like bucket seats, but there is space in the middle for a fifth passenger. The seats recline or can be folded flat to increase cargo space. Legroom is decent, but a tall driver could make things a bit cramped for a passenger seated directly behind if the seat gets slid far back to attain a comfortable driving position. Land Rover gave our gaggle of auto journos the opportunity to drive the Range Rover Sport SVR in a variety of conditions to demonstrate the versatility of this powerful SUV. We started in Manhattan on rough roads and through even tougher traffic. The SVR’s ride is somewhat stiff, but it still absorbs potholes and poor pavement with very little jarring. The supportive seats make sitting in stop-and-go traffic a comfortable nuisance. And with so much power on tap, maneuvering in and out of traffic and changing lanes is a breeze. Later in the day on winding roads through northern New York, the SVR was right at home on long sweeping turns and tight corners. The biggest issue we had was controlling our right feet, since we constantly wanted to push harder and hear that V8 roar. Steering is light, but drivers still feel connected to the road. 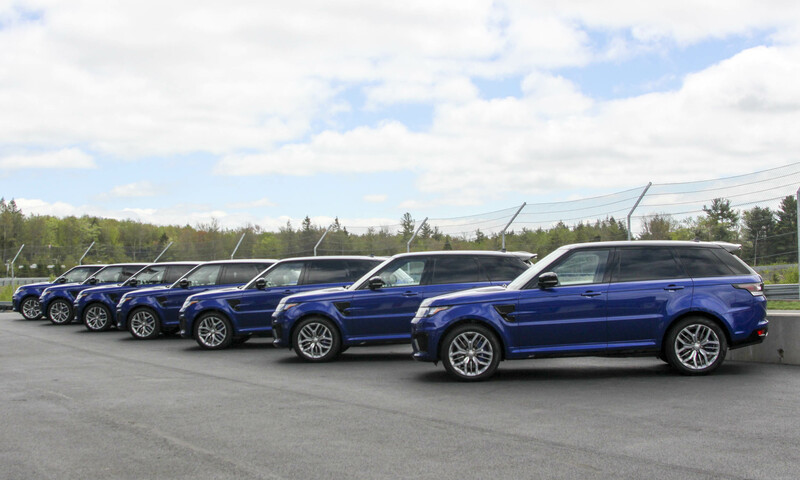 To further illustrate the SVR’s capabilities, we drove to the Monticello Motor Club — an automotive country club complete with a private racetrack. But before we took to the track, we put the SVR in low-range, selected Mud/Ruts on the terrain response system, and went into the woods. Although the trail we traversed was not terribly tough, it did demonstrate that this hot-rod Range Rover is still at home in its natural habitat: mud. With some steep descents, deep mud and rough terrain, the Range Rover never faltered — in fact, it barely broke a sweat. After exiting the off-road section, SVRs were hosed off, journalists donned their helmets and drove directly onto the track. (Try doing that in any sports car.) On track the SVR continued to impress. Full throttle pushes you back in the seat, and the exhaust note is simply awesome. 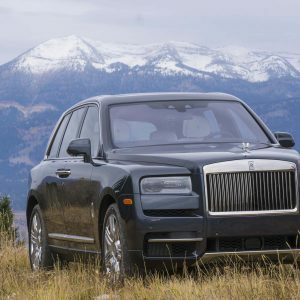 Even though the SVR handles corners surprisingly well with excellent grip and very little body lean (thanks to Active Roll Control and torque vectoring), it is still a 5,000-pound SUV. To paraphrase Scotty from Star Trek, you cannot change the laws of physics. 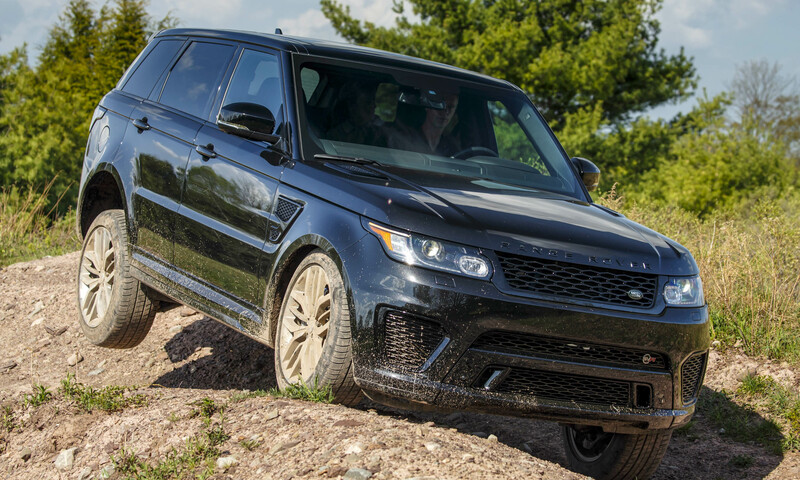 The SVR’s mass becomes readily apparent when you really push the big SUV into the turns and the tires start to squeal in protest — but since we had just slogged through mud in the same vehicle minutes earlier, we’re still very impressed. 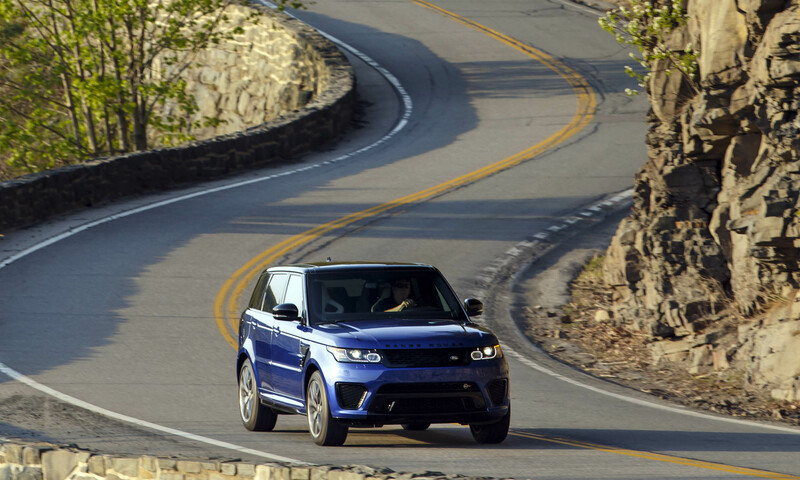 There are a number of high-performance sport-utility vehicles on the market that will compete directly with the Range Rover Sport SVR, but the Range Rover’s ace in the hole is its all-around versatility. With the SVR you have a vehicle that can handle deep snow or other rough terrain while providing exciting performance during everyday driving. Fully loaded — as were the models we drove — the price can exceed $120,000. 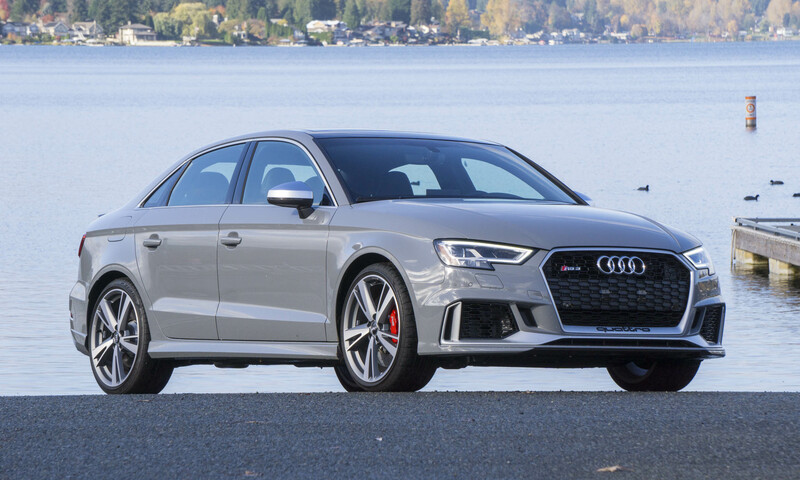 (Hey, it’s still cheaper than buying a Range Rover Sport and a Jaguar F-TYPE.) So if you desire excellent on- and off-road performance in an attractive, comfortable package, this hot-rod Range Rover should be at the top of your must-drive list. 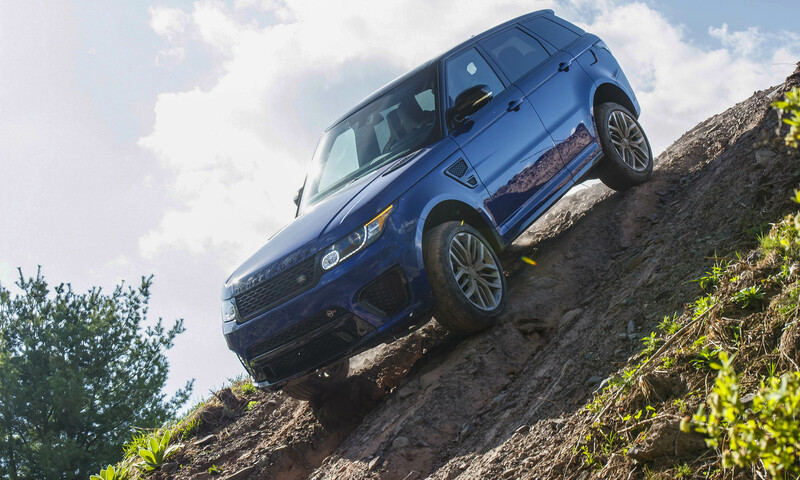 Bottom Line: The Range Rover Sport SVR is a mud-slinging apex-clipper wrapped in an attractive, comfortable package.